I was asked to do this cake by my head chef for a client of his…it was such a great priviledge to be asked by him to do this. He is someone I really look up to as a leader, a father and a friend. The cake came out ok, pillow cake with tiara. I was asked to do this cake by my head chef for a client of his…it was such a great priviledge to be asked by him to do this. He is s omeone I really look up to as a leader, a father and a friend. 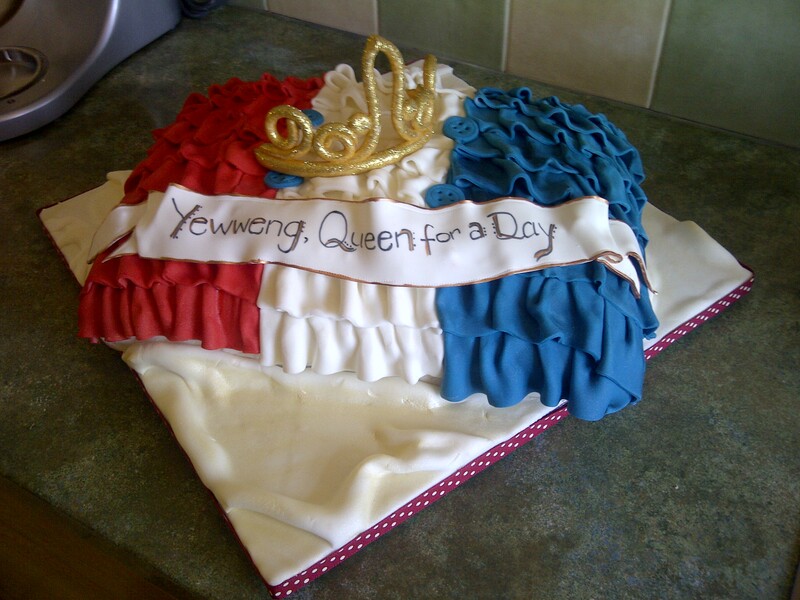 The cake came out ok, pillow cake with tiara.